MILLARE Fashion: Lagos Fashion and Design Week Open Entries For The Young Creative Entrepreneur & Young Designer Of The Year Awards 2013. Lagos Fashion and Design Week Open Entries For The Young Creative Entrepreneur & Young Designer Of The Year Awards 2013.
simultaneously grow the Nigerian fashion industry. their collection in front of a select audience at the Lagos Fashion and Design Week. Design Week, where one designer will be crowned the winner. Entrepreneur Award and Josh Samuels for Young Designer of the Year Award. 28th of August and ends in Lagos on the 30th of August. 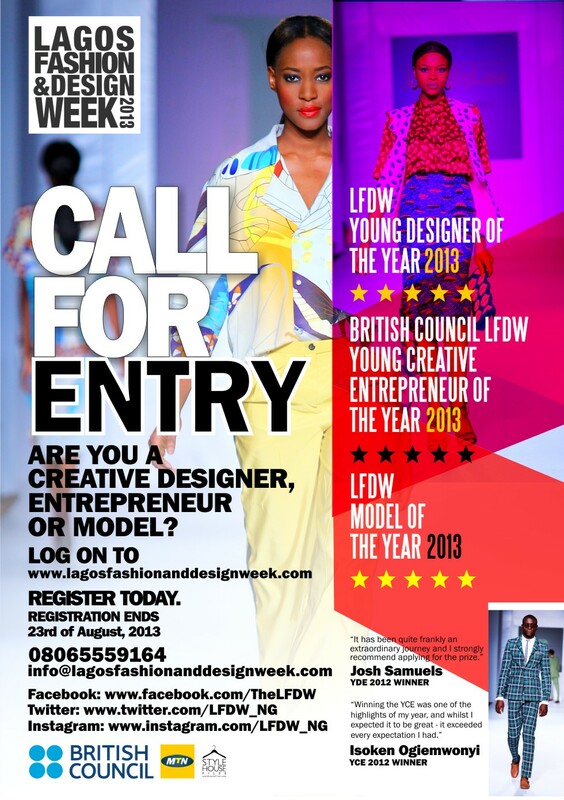 LFDW is scheduled to take place from October 23rd to 26th 2013.